Have you seen the new Mark Hill hairstyling tools? Take a walk on the wild side with me to check ’em out! The striking animal-print inspired range goes by the name RAW and includes three hairstyling tools that wouldn’t look out of place in our Christmas stockings this year. We need bigger stockings don’t we? The real reason I’m showing you this range is because a little birdy told me that for one week only… the limited edition Mark Hill RAW Zebra Power Hairdryer is gonna be selling at LESS THAN HALF it’s usual retail price! Usually priced at £59.99, from the 12th – 18th November, Boots will be selling this online and instore for a very tempting £24.99! 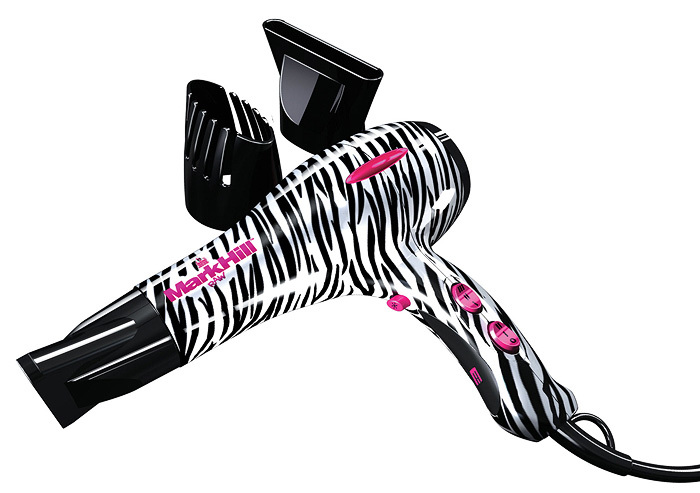 If you’re after a new hairdryer… I’d be all over this like a zebra-printed rash! After your helpful tips on achieving the perfect blow dry the other day, I’m eyeing up that particularly narrow nozzle attachment thingy with a new found A-HA!